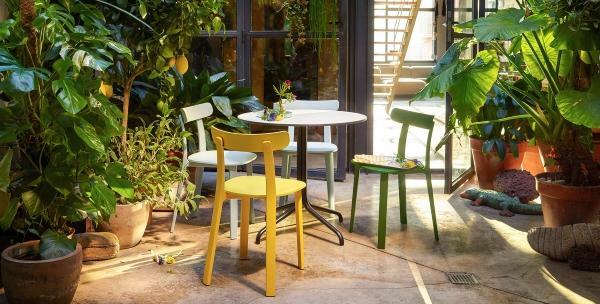 The Vitra All Plastic Chair by Jasper Morrison is reminiscent of a classic wooden chair, but it is made of polypropylene and is therefore easy to care for and also suitable for outdoor use. 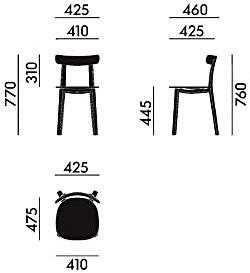 A particularly comfortable feature is the responsive backrest, which adapts to the user. 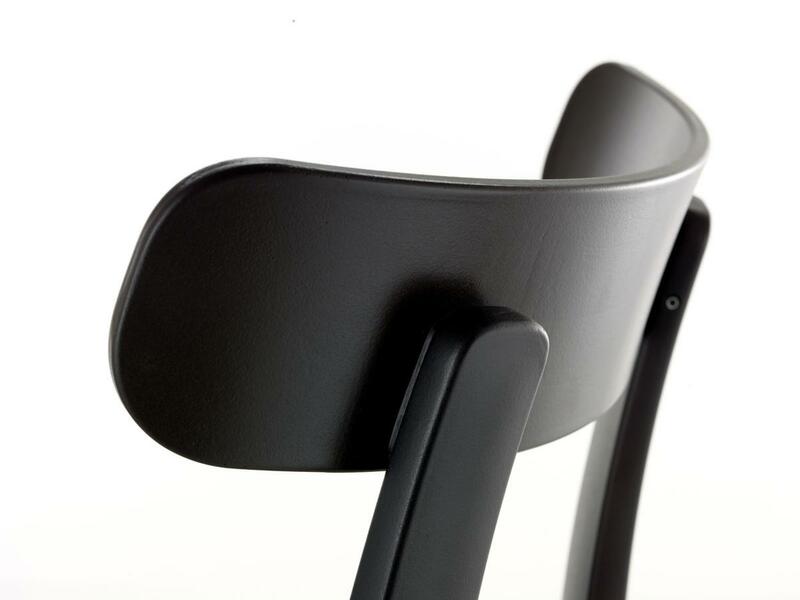 The backrest features a rubber buffer which is responsive to movement. 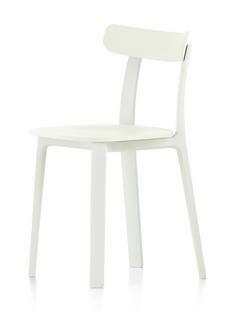 Care For cleaning a damp cloth and a mild detergent are recommended. 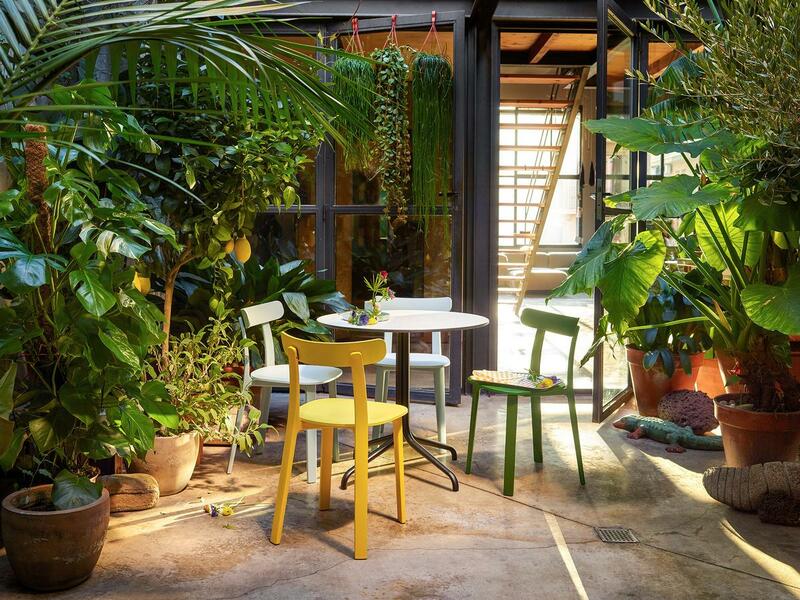 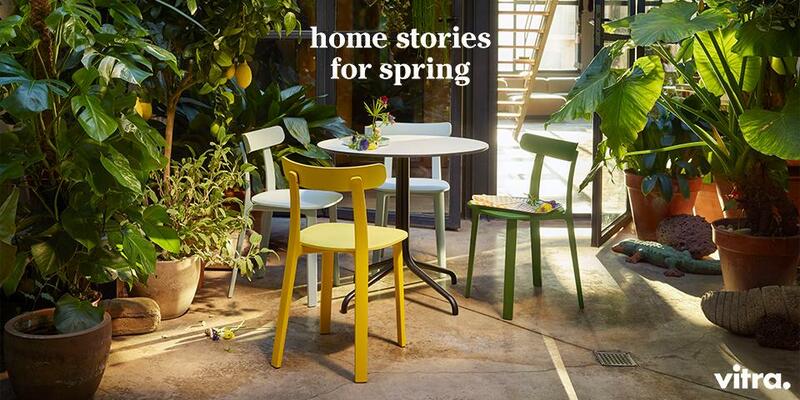 From kitchen gardens and living room plants to backyard jungles ... With their „Home Stories for Spring 2017“ Vitra take us into a world of furnishings conquered by nature. 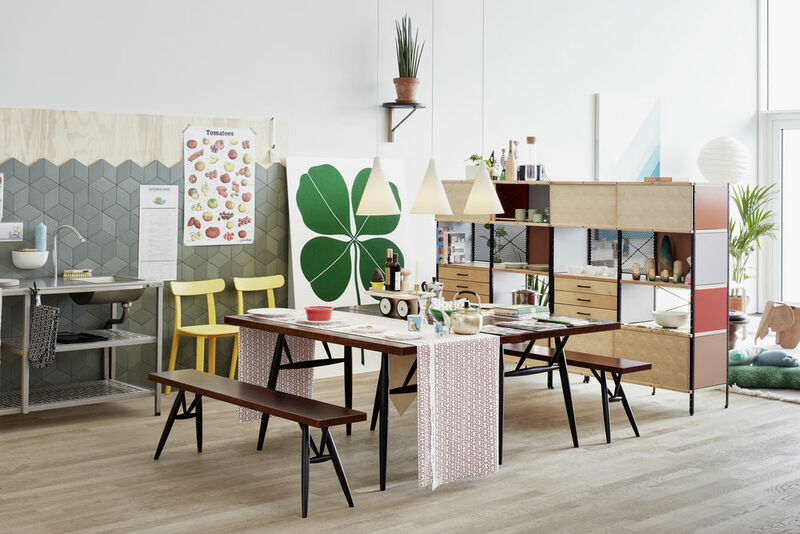 Unique collages of furniture, plants and accessories seduce into the warmth, comfort and ease of spring, summer and nature. 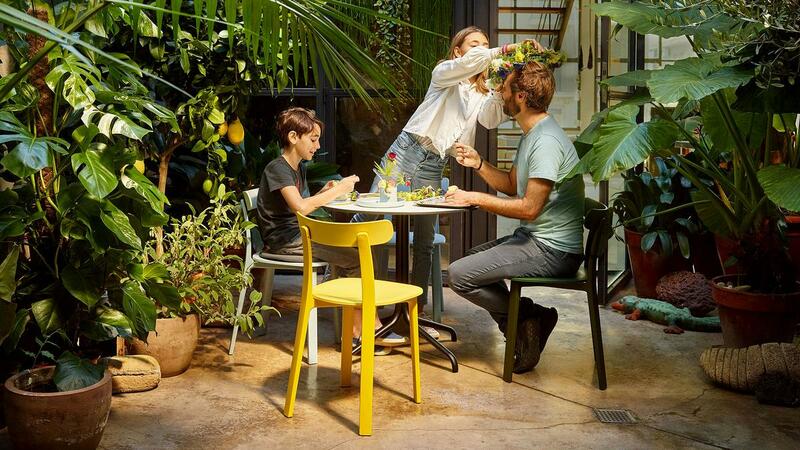 Browse the brochure, get inspired and create your own personal #SecretGarden. 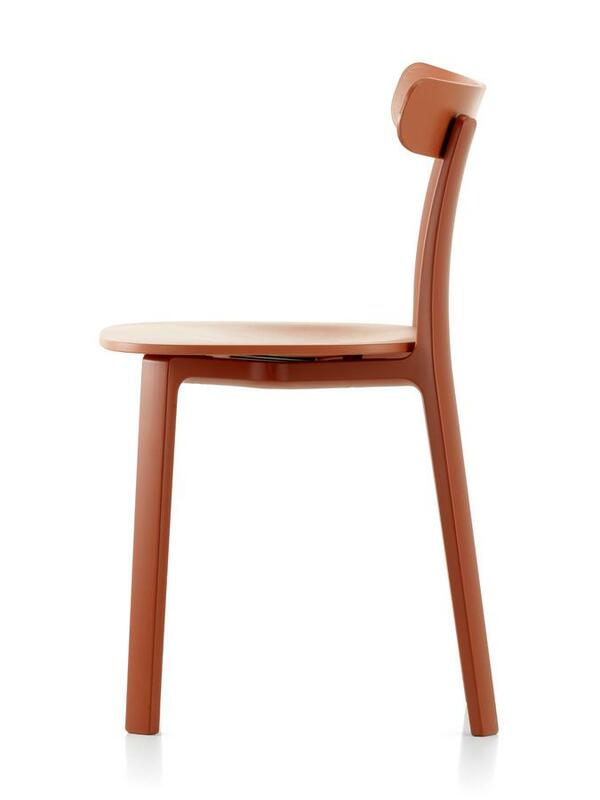 The All Plastic Chair is formally reminiscent of the popular Basel Chair by Jasper Morrison, and can, to a certain extent, be considered as its further development. 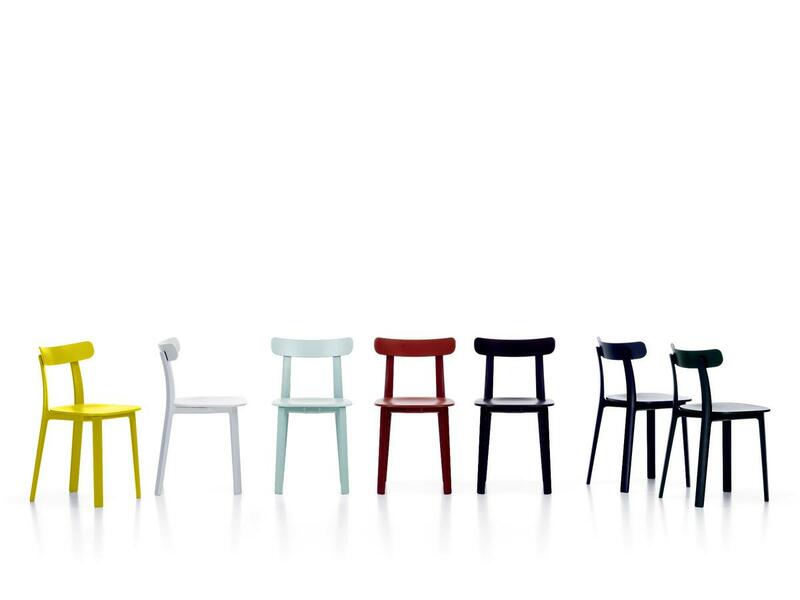 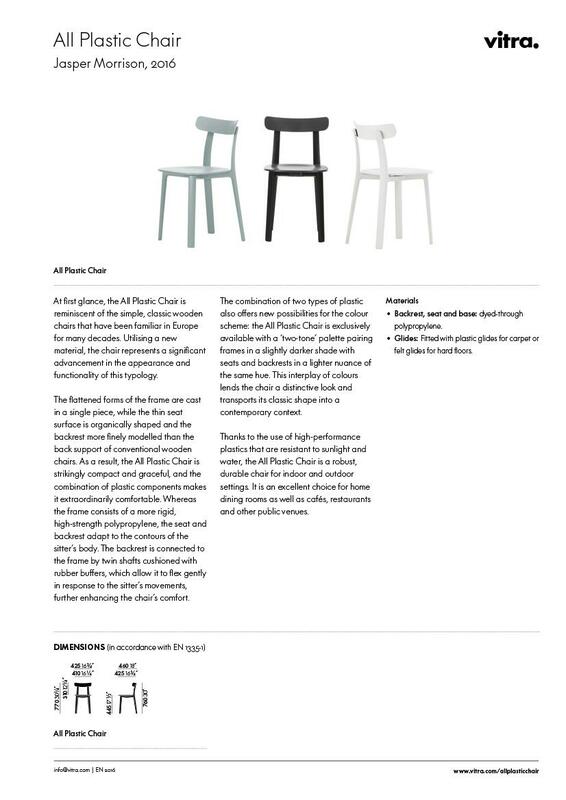 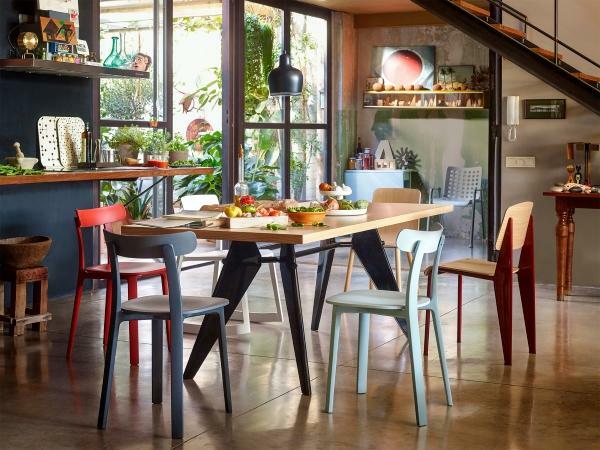 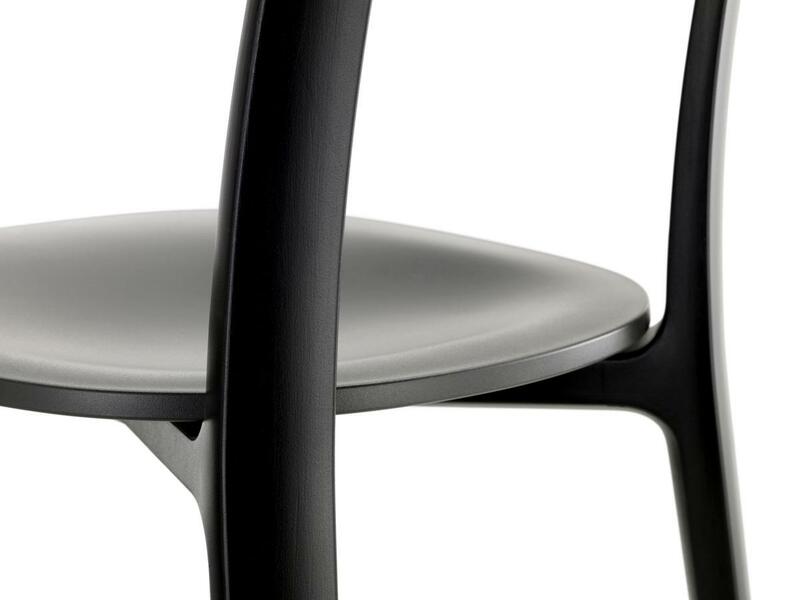 Instead of wood, the designer and the Swiss manufacturer Vitra relied on modern plastics technology and developed a plastic chair which on first impressions doesn't look new; but which has a remarkable amount of design knowledge and sophistication, factors that make up an original Vitra All Plastic Chair. 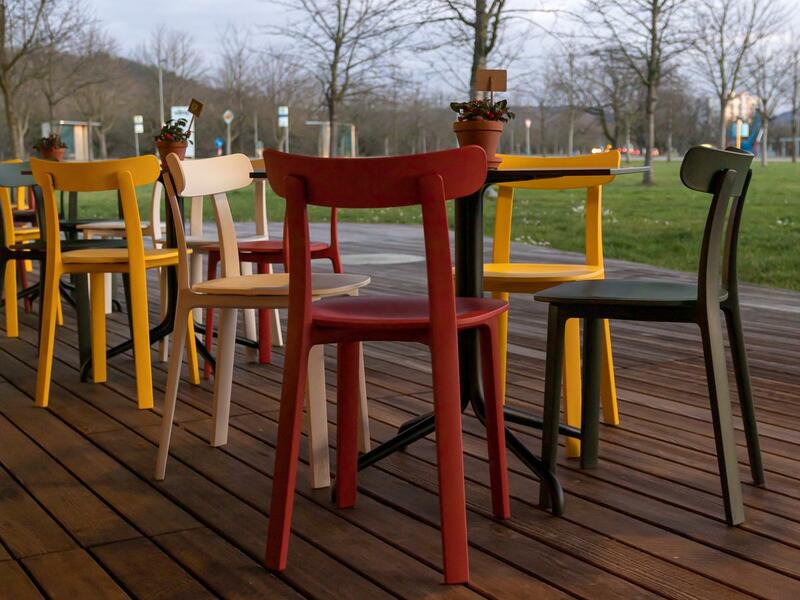 The slightly yielding material ensures a high level of seating comfort while thanks to its different composition, the seat and backrest and frame differ in color by a few nuances. 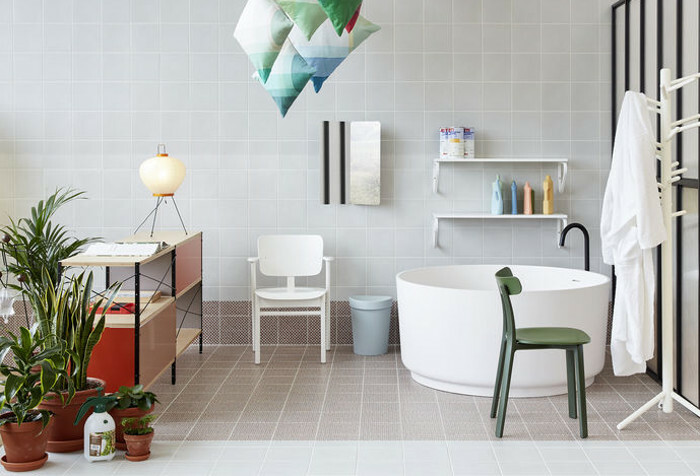 Morrison's concept of "super normal" expresses a desire to make products for anyone and which can survive the challenges of daily life, including the principle that an object performs its function best when it is good at what it does or represents. 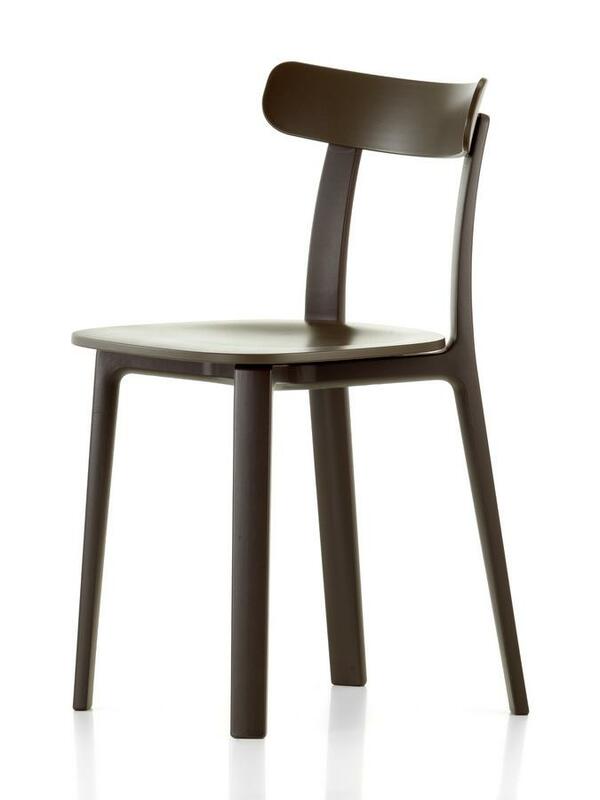 For example, the Vitra chair joins other practical, functional designs by Jasper Morrison, such as the Hal Chairs or the Rotary Tray - supernormal products with a unique history.